Provide comfort for the family of Tawanda Walton with a meaningful gesture of sympathy. Tawanda was born on July 29, 1974 in Philadelphia, PA to the late Georgia P. Walton and James Ellerby. She was educated in the Philadelphia County school system, later attending Germantown High School and Keystone Job Corps Center. Furthering her education, she studied Business Management at Florida State College. For the past several years Tawanda was a Customer Service Representative for Avon. Tawanda’s Christian experience began at Corinthians Baptist Church in Philadelphia where she regularly attended for the first 19 years of her life, until the family relocated; moving first to the state of Georgia and later to Jacksonville, Florida where she resided for most of her life. Having affiliated with several churches in the Jacksonville area, the report of those whom she served under was always the same, “Faithful.” At the time of her demise, she was a member of Kingdom of God Outreach Ministries, under the leadership of Pastor Matthew and Prophetess Julia Spann. Tawanda departed this life, much too soon, on Thursday, January 31, 2019. Those left to cherish fond memories include a sister, Celestine Gregg of Philadelphia, PA; aunt, Claretha Walton of Jacksonville, FL; her godmother, Laura English; god sisters, Keisha Crawford and Lynette Crawford both of Philadelphia, PA; god-daughter, Aliya Ross; god-son, Emerson Shipman, Jr. both of Jacksonville, FL and a host of cousins, friends and her church family, all of whom will miss her dearly. To send flowers in memory of Tawanda Michelle Walton, please visit our Heartfelt Sympathies Store. We encourage you to share your most beloved memories of Tawanda here, so that the family and other loved ones can always see it. You can upload cherished photographs, or share your favorite stories, and can even comment on those shared by others. 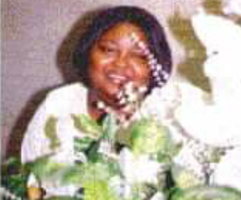 Provide comfort for the family of Tawanda Michelle Walton by sending flowers. To the Walton Family: Please cherish the hope of seeing Tawanda again when God's Kingdom comes and his will is done on earth. (Matthew 6:10) God promises that under his Kingdom arrangement, people will no longer feel pain, grow old, or die. (Revelation 21:4) Isaiah 33:24 assures us that no one will ever get sick again, and Isaiah 25:8 promises that God will swallow up death forever. All this is made possible because of the ransom sacrifice of Jesus Christ. (John 3:16) As a united family, please focus on the fulfillment of these promises for Tawanda! My name is Linda Ann Smith and my family's (the Nealy's) relationship with Ms. Georgia Walton and her daughter Tawanda Michelle Walton began about forty years ago. Ms. Georgia and Tawanda were my neighbors during the 70"s. Myself and my boys, Malik and Hasan, resided at 223 W. Seymour Street in Philadelphia. We lived on the 3rd floor and Ms. Georgia and Tawanda lived on the 1st. floor. Tawanda was a nice, kind, quiet little girl whom Ms. Georgia loved, adored and doted on. My boys looked out for Tawanda like a sister and Ms. Georgia looked out for all of us like a mother. They were such good neighbors to us. I use to call Tawanda's mother, Ms. Georgie Walton. That was my way of addressing Ms. Georgia in my most endearing term and she liked that because she'd know it was me calling her. That was my special greeting for her. I'd refer to Tawanda as Lil Tawanda Walton. Knowing Ms. Georgia was knowing Tawanda for Tawanda was the daughter of a Queen which made Tawanda a princess to us. Ms. Georgia watched my children while I went to school and worked. Tawanda played with my boys and attended many birthday celebrations for them as we attended many birthday and other celebrations for Tawanda and Ms. Georgia. Ms. Georgia and Tawanda knew my entire family and we shared many happy times together. I left Philadelphia in 1984 to reside in California until 2008 when I moved back to Philadelphia. 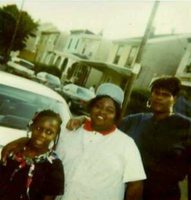 However, whenever I visited Philadelphia, Ms. Georgie Walton and Tawanda always received a visit from me. 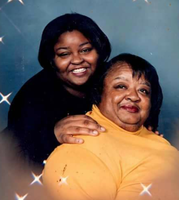 Tawanda was raised by a strong, loving, kindhearted and caring woman, an Earth Angel. That's where Tawanda gets all those special traits from. Especially that nasal tone in her voice. Tawanda is most certainly, her mother's DAUGHTER!!! We thank the Creator for the pleasure of knowing and loving Tawanda Michelle Walton in this lifetime.